As the leading name in Adwords PPC management, we understand what ROI means. With a tough business environment online, your business may be missing out on a large chunk of the pie. With our high-quality PPC management consultants, we are able to offer you goal-drive results that you can capitalise on. Without a good ROI that is sustainable, it is impossible for a company to build revenue today. That is why we deliver a PPC campaign that is suited to your interests and is driven with a goal in mind: revenue. Hire us as your Adwords management company and see the difference it makes to your revenue. NOTE:Final price depends on monthly budget and business industry. We will setup Facebook account with 3-5 business days. NOTE: You must have to provide me banners and videos. NOTE:Final price depends depends on monthly budget and business industry. As one of the top expert PPC management firm, we are looking to offer you better conversion rates. And it starts with getting faster traffic that is high in quality. Our PPC marketing campaign enables you to stand out among you competitors and go past them so that your business is what people turn to when they are looking for said products and services. With a smart and tough PPC campaign, our affordable PPC management is able to give you the option of having maximum control over our campaign and let you pay for only the ads that people click through. This means that you don’t pay for the ads themselves; you pay only when people click on them! This is a win-win situation and our excellent PPC management consultant is able to make it happen for your business. It also means that your Google Adwords management cost is low. Pay Per Click is something you must already know about. You must understand what it can do and what potential it has when handled in the right manner. If you give us the opportunity and hire our PPC management expert, you can expect to get a competitive edge in the field and maximise your returns. If you have an online business but you feel that it has a long way to go, then our PPC management consultants is what you need to achieve whatever you want. 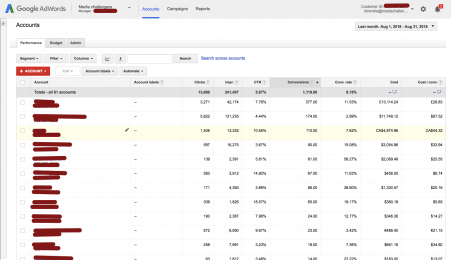 A half-hearted attempt at creating a PPC campaign can do more damage than good. In fact, it can be downright dangerous and something you don’t want for your business. When you hire our Google campaign manager, you can expect to see results which are born out of sheer hard work and efforts. We go out of our way to deliver a PPC campaign that is customised and personalised to your business. So if you are worried that your ad copy will have bad English or won’t target the right audience, hire PPC management expert from Media Challengers and see the difference it makes to your bottom-line. What makes our PPC management the most effective? We are analytics-driven: Affordable PPC management is about making sure one has the right tools for the job. 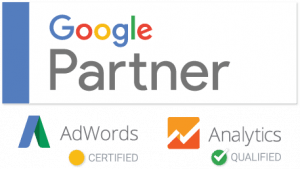 A lot of what we do as your PPC management consultant is analytics and that is why we have taken the effort to invest in the tools required for correct analysis and reporting. How are we going to tell you what we are doing unless we have the tools for it? As a reliable PPC management firm, we are driven by analysis and we look forward to do better than before because it what we do. You outsource the PPC management to us: When you hire PPC management expert, you can outsource your PPC management to us. This helps you because it means that you don’t have to develop and maintain a PPC management team in your business. This results in lesser costs and more profits. It also means that you don’t have to spend a considerable amount of money in training your employees on PPC management because you can outsource the work to us. Communication made easy: With our affordable PPC management, you can expect transparent and easy communication with us every step of the way. You don’t have to wait to contact us because we give you a dedicated PPC management consultant when you hire us. This means that someone is always there to listen to what you have to say. If you have any inputs on how we can work better at your campaign, give it to us because we are all ears! Better brand image online: When you hire PPC management expert from Media Challengers, you are hiring the best. We can better your brand image online because this is what is really important in today’s day and age. People have less time and they want things done fast. With better brand image online, you are able to reach out to people by dint of better exposure. This helps you be the leader in your field. Well-placed ads make all the difference: As your Google campaign manager, we take the time and effort in placing ads in a way that entices your target audience. Placing ads in the correct manner and in the correct place is what will help you reach the right set of people. Our team has the right connections in the industry that helps it place ads in a way that your target audience finds appealing and attractive. 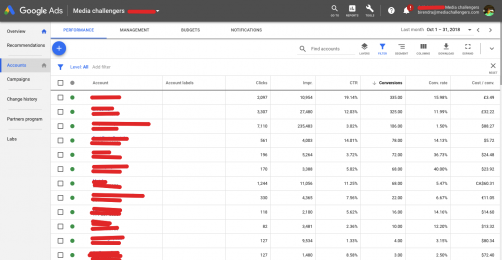 Focused campaigns: It is possible for only the top PPC management company to be able to develop PPC campaigns for their client businesses that are focused. 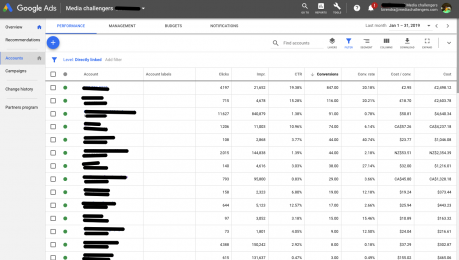 When you are spending a considerable amount of money in hiring a Google campaign manager, you should expect focused campaigns or your money will go down the drain. For example, if you have a gaming company, you need to build a PPC campaign that focused on targeting teenage girls and boys because they are the real audience of what you are offering. A plan: When you hire us ( Adwords PPC management company), you also get a plan. What is the use of developing a flawless campaign if it is not executed perfectly? It is not going to do much for your business. That is why our team puts in the effort to draw up a plan so that your campaign gets started on the right foot and also reaches the right audience. Demographic research: This is really important. When it comes to expert PPC management firms, it is all about targeted audience and that is where demographic comes in. To make sure that the ads you put in leads to conversions, you need to ensure that you are actually reaching out to the right demographic. So we begin by finding out what the demographic we need to target is and then we create and develop a campaign that is beautifully synchronised to appeal to them. 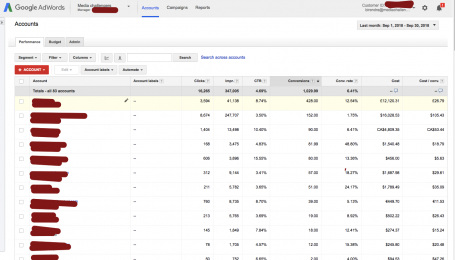 This ensures that they click on your ad and conversions happen. Customisations: Our Google Adwords management fees are what we charge for our customised approach. We believe that each of our clients are different and their business needs are different and that is why we develop PPC ad campaigns which are unique and very different from each other. This helps your business to stand out among your competitors and attract your target audience in the right manner. Promotional aspect: Sometimes, people are not interested in what a brand has to offer unless they know what the brand is and that is where the promotional aspect of what we offer comes in. Our Google Adwords management cost is geared at adding a promotional aspect to the ad copy. This ensures that the informational and promotional aspects are merged beautifully to give sufficient enticement to your targeted audience to click on your ad. This is a win-win situation that is garnered towards increase in revenue. Customer-centric campaign: Our PPC management consultant is an expert at developing customer-centric campaigns. We don’t create content just for the sake of it; we discuss and find out what your targeted audience looks like and what they want and then develop a customer-centric campaign that will appeal to them. Hire PPC management expert to ensure that your business is able to make the most of this customer-centric approach. As your reliable Adwords management company, we give you cutting-edge solutions that will help your business stand out and reach the audience you want. We are not like many other PPC management firms because we don’t have a fixed PPC formula that we use for all our clients. Instead, we take the time to understand what your business is like, what its goals are and what you want to achieve to create an ad campaign that goes perfectly. So what are you waiting for? Get in touch with us at Media Challengers today for excellent goal-driven PPC services that will propel your business to success.